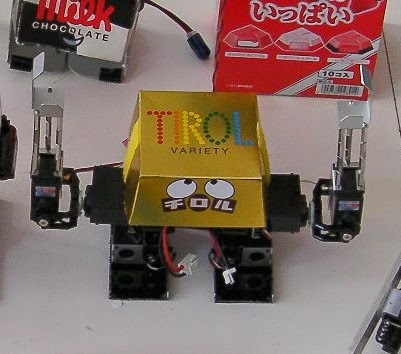 The 9th TIROL-CHOCO Robot Competition , sponsored by MASAYUKI-san, supported by RT Co., Ltd. and cooperated by TIROL-CHOCO CO., took place at Akihabara DAIBIRU studio ASIMO, Tokyo on Apr. 26, 2014. 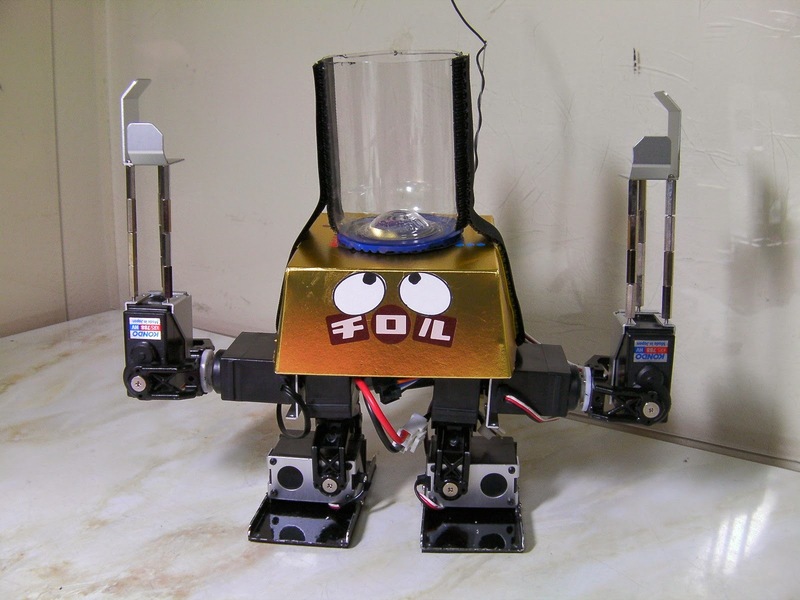 The competition is for robots with TIROL-CHOCO exterior. The 1st competition was held on July 9th, 2007. After that, the completion took place every year. Three paper cups with TIROL-CHOCO on the top put on the field. Robot shoots the paper cups from a distance of 65 cm. Robot gets dropped TIROL-CHOCO from the top of paper cup. The order is depended on the number of shot TIROL-CHOCO. 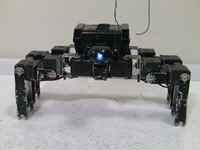 One arm-robots put on the 2 m course. 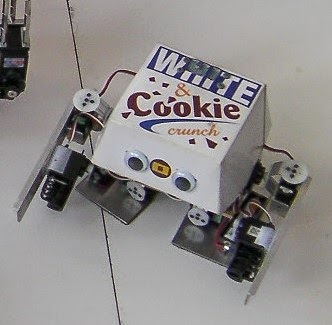 Player removes TIROL-CHOCO from the basket of arm-robot to the basket on the robot. 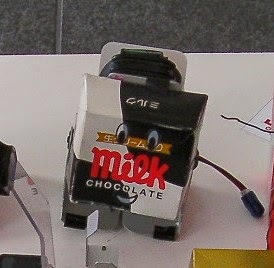 Each robot carries TIROL-CHOCO on the robot within 5 minutes for 2 m. The order is depended on the time and the number of TIROL-CHOCO carried. After the 3 games, the winner is robot gotten the most total points of game. 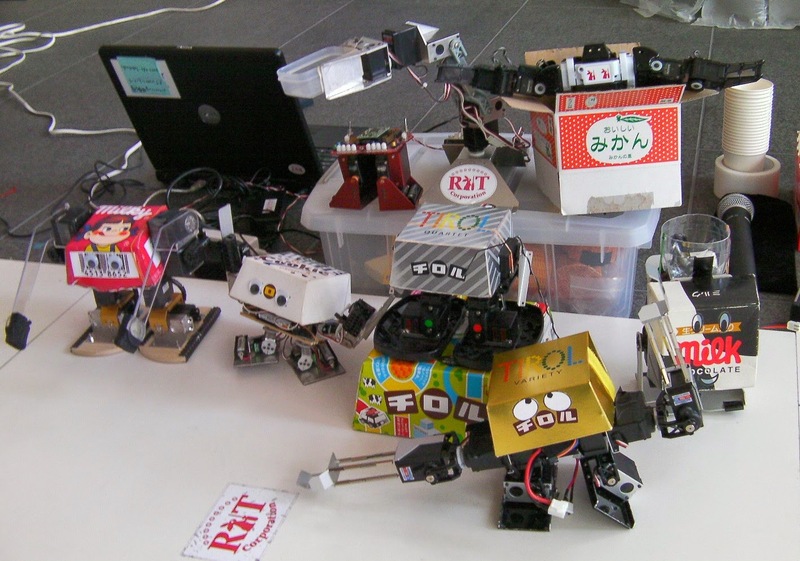 ﻿﻿Five robots, BT-R2HV (IKETOMU), Z-TIROMON (Motoiinchi), Garuu (Kumama), Bosa-2gou (Mukouyama Masaharu) and Puchro (KEG) attended the competition. 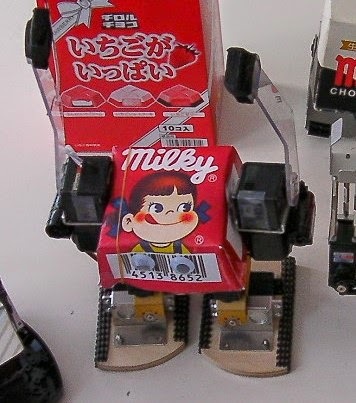 The winner of the 9th TIROL-CHOCO Robot Competition was Z-TIROMON by Motoiinchi, the 2nd place was Garuu by Kumama and the 3rd place were BT-R2HV by IKETOMU, Bosa-2gou by Mukouyama Masaharu and Puchro byKEG. BT-R2HV, Z-TIROMON, Garuu, Bosa-2gou and Puchro. The winner was Garuu, the 2nd place was Z-TROMON and 3rd place was BT-R2HV. BT-R2HV, Z-TIROMON, Garuu, Bosa-2gou and Puchro. ﻿﻿The most interesting game was TIROL-CHOCO Shooting game. Each robot had interesting shooting system. Especially, Z-TRIMON got 33 points, a new record of the TIROL-CHOCO Robot Competition Shooting. The winner was Z-TIROMON, the 2nd place was Puchro and 3rd place was Bosa-2gou. BT-R2HV, Z-TIROMON, Garuu, Bosa-2gou and Puchro. 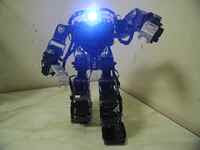 The winner was Z-TIROMON, the 2nd place was BT-R2HV. 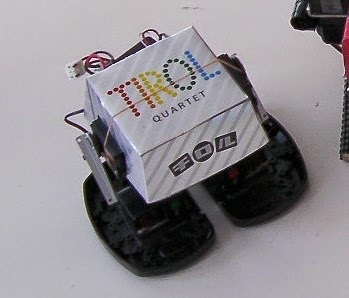 The 4th TIROL-CHOCO Robot Competition on Feb 13, 2010 was described in this blog.